"The Failed Rhetoric of the Abortion Debate" — WhoWhatWhy.org, August 2015. "Stink Bugs Still Terrorize American Homes" — Mental Floss, June 2015. Skilled in web editorial; knowledgeable about blogging platforms such as Wordpress and Squarespace and a wide variety of social media tools. Wrote product copy for all Target departments including apparel, baby, home, electronics, and entertainment. Conducted SEO research and incorporated keywords into product descriptions. "The Traeger Lil’ Tex Elite Limited Edition Wood Pellet Grill proves that really good things can come in lil’ packages. Combining the classic function of renowned Traeger Wood Pellet Grills with 418 square inches of grilling space, this is the perfect barbecue for serving up big taste to friends and family. Designed for more than just grilling, your Traeger will smoke, bake, roast, braise and barbecue with your choice of new and traditional wood flavors. Astoundingly simple to use and easy to clean and maintain, this versatile grill is ready for anything: from hickory ham to smoked salmon, wood fired pizza to grilled corn, roast chicken to braised pork, your only limit is your imagination." "A classic toy gets a modern makeover with the Mrs. Potato Head Figure from Playskool. This super-stylish potato has sprouted legs and a slimmer figure (despite all the starch). With a collection of fashionable pieces like a bright yellow hairdo, a funky pink visor and thick red lips, Mrs. P's ready to sport new looks every day of the week. All parts fit perfectly inside this tuber’s trademark tush compartment. For kids ages 2 and up." "Get more bangle for your buck and achieve the stacked-arm look effortlessly with the Bead and Metallic Coil Wrap Bracelet from Capsule by Cara. With alternating bright red gems and golden beads, this coiling bracelet creates a colorful, layered look. Add it to your favorite ensemble for an instant fashion upgrade." "Fads come and go, but plaid is forever. 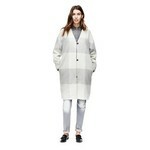 When the the weather gets crisp, cozy up with the Mohair Coat in Grey & White Plaid from Adam Lippes for Target. A dressed-down plaid print pairs perfectly with a structured cut for a fashionable fall finisher that’s classy and comfy. This fall jacket is crafted from soft mohair and features oversized grey and white checks, a refined V-neck and concealed snap buttons." "Don't let sweat ruin your swagger — this two-pack of Old Spice Red Zone Sweat Defense Antiperspirant and Deodorant will keep you high and dry — in a good way. The swagger-scented deodorant releases its smell slowly so you can maintain your manly fragrance all day long." Co-wrote Cornell University: Off the Record and wrote content for Untangling the Ivy League. Write hotel reviews for Oyster.com, a TripAdvisor company. "Reflecting its status as a low-key island getaway, the Catalina Resort & Spa is designed in a classic Mediterranean style that melds the outdoors with the in. The buildings feature terra-cotta roofs, stucco walls, large open windows, and arched doorways. The spacious courtyard includes a heated pool and hot tub, while pathways wind through the palm-tree studded grounds and offer up plenty of patio seating and sunning areas. The grounds offer hilltop views of downtown and are well-kept, but can feel brown and bleak if you hit the resort during a California drought." Design, wrote, and edited Visual Merchandising manuals for over 250 stores across the country. "The public relations campaign that Maria designed for EARS resulted in significant increases in training registrations, a jump in the number of calls and visits to the counseling room and more requests for outreach programs. Her concise, eye-catching advertisements included posters, fliers, quarter cards, newspaper ads, and power points for campus media towers."